With the announcement of the Exxon/Mobile campus being built just south of The Woodlands, the entire north Houston area is experiencing a boost. The Greenspoint area is located along the I-45 corridor, close to Bush International Airport and The Sam Houston Tollway. The Greenspoint district is only 15 minutes north of downtown Houston and only 10 minutes to The Woodlands. There are many development incentives along with a lot of prime real estate structures and locations for businesses. Many top companies are currently choosing the Greenspoint district as their home. Some of these companies include Exxon/Mobile, FMC Technologies, Noble Energy, Sysco, Continental, DHL and Cytel. A complete list can be found here. Greenspoint currently has over 18 million square feet office, retail and industrial space. There are some great opportunities for companies to find a wonderful facility to bring their business. A great location with a variety of properties to appeal to a wide-range of businesses. 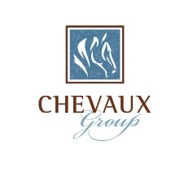 Currently, Chevaux Group is preparing to represent a huge commercial office/flex space in the Greenspoint area. "We are thrilled to have been chosen to represent this property and will be introducing and marketing the product very soon!" With our office just 10 mintutes from the area, we are in a great position to become very involved in the market here. Stay tuned for our latest commercial real estate news for The Woodlands and greater North Houston area!